THP is pleased to announce that the 2nd Annual THP Golf Outing & Demo Day is now official. We have partnered again with what we consider to be one of the finest golf resorts in the world and that is PGA National Resort & Spa in Palm Beach Gardens, FL to host this great event. Before making this decision, THP worked with 2 dozen resorts about hosting this event and when it came down to it, no place could come close to touching PGA National Resort & Spa in terms of price for those coming and amenities offered for our wants and needs. Many of our readers got to experience this wonderful resort at the 1st outing, and we are pleased to be able to announce that our 2nd Annual THP Golf Outing & Demo Day is being held there again. 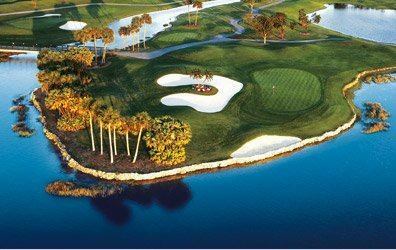 PGA National Resort & Spa has been recognized by numerous golf publications as one of the top resorts in the U.S. and is the only resort to host a Ryder Cup, PGA Championship, and a regular stop on the PGA TOUR (The Honda Classic). 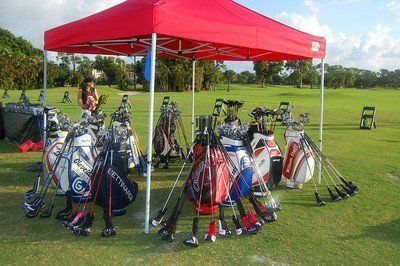 We felt as though our 2010 Golf Outing & Demo Day was a huge success and one of the reasons for that was the incredible partner we had in this extravagant resort. If you were not able to attend the first outing, you can live through that experience in these two links both offering some insight into what exactly the trip was like. This is going to be a unique demo day unlike any other you have ever experienced. 8 full hours of the latest and the greatest in the world of equipment. This will be the opportunity to swing away and swing hard. This will also be the time of the demo day to use the launch monitor for shaft fitting. There will be a sign up sheet of sorts for the monitor that way each person gets time to get fit by one of the THP equipment “experts”. Very cool and unique contest that will be so much fun that it will have people on edge for each shot. Winner will take home a beautiful driver. Take your time and grab some lunch or a quick snack at one of the fine restaurants at PGA National Resort & Spa. Both full range and short game areas will be available for testing. Fun wedge contest that will award the winner with some new short game tools. The putting green will be swirling with putters as people can try out 5 or 50 if they choose. You heard stories from the last contest and that tricky 100 foot putt that was drained by a THP Forum Member. We will have another one setup for everybody to take part in. Dinner Friday evening is up to each participant. You can eat at any of the fine establishments at PGA National Resort & Spa, or leave the grounds and eat elsewhere. The group will be playing the Squires on Saturday. After the round of golf, you will be able to enjoy the rest of the amenities that PGA National Resort & Spa has to offer, or tee it up again on one of their fine golf courses (2nd round is not included in cost of the outing). THP is hosting a banquet style dinner for everybody, on us, where all of the participants can relax and unwind and have food and drinks with fellow THP’ers. PGA National Resort & Spa has been gracious in assisting us in putting together a menu that we think everybody will enjoy. This is the chance for us to get dressed up a little, and enjoy the food and company as well as the wonderful surroundings. Those in attendance at the last outing want revenge and those that have not been are in for a treat. THP Takes on the Bear Trap…Take 2. 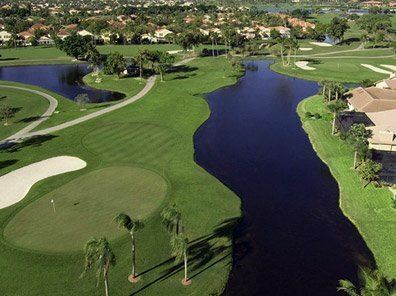 Attendees will be battling out on the same course that has hosted a Ryder Cup, a Major Championship, and a yearly PGA Tour Stop in the PGA National Champion Course. After the round of golf, you will be able to enjoy the rest of the amenities that PGA National Resort & Spa has to offer, or tee it up again on one of their fine golf courses (2nd round is not included in cost of the outing). Dinner Sunday for those that are still around is up to each participant. You can eat at any of the fine establishments at PGA National Resort & Spa, or leave the grounds and eat elsewhere. Resort Charge: A Resort Charge, per room, per night is included in all guestrooms utilized and included in the above rates. The Resort Service Fee includes unlimited local calls and long distance access (toll free, credit card, and collect calls), a daily morning newspaper for each room, in-room coffee, turn-down service, wireless internet access in hotel guestrooms and unlimited admission to the Health and Racquet Club Facilities. The cost is broken down by golfer per room. Examples – If a husband and wife are coming and both golfing the cost would be $151 per person per night. If that same husband and wife are coming and only one of them is golfing, the cost would be $233 for both of them per night. It is based on the # of golfers per room. The cost includes Golf, Room, Breakfast each day, THP Dinner, Demo Day, & Range Balls. Other meals and drinks are not included. *For those staying additional nights but not playing golf, PGA National Resort has helped out with that as well. THP will be holding contests throughout the event for many items. Based on play and other fun ideas we have including bringing the THP Prize Wheel back and some other really incredible contests. All THP Golf Outings are for golfers of all skill levels. Nobody will ever be discriminated based on the way they play the game. It is about fun, meeting incredible people, and trying new equipment all at one of the world’s best settings for golf. This is a Stay & Play Event and is only available for those that choose to sign up for the outing and are staying on property. The 2nd Annual THP Golf Outing & Demo Day is available for THP forum members only and family of THP members. If a member would like to invite a friend we ask that they please sign up for the forum first. This outing is not open to the general public and will once again be no sales reps allowed. It is something that our members loved about the last outing and we are keeping it this way again. If you are not a member, no sweat. Once you sign up, you will receive instructions on booking your room through the resort. Anybody under the age of 18 must be accompanied by an adult. Rates will be extended for those that want to check in or check out early or late. Childcare services are available with Kids Club Wednesday-Saturday from 10 am- 4 pm. The ages for the camp are 5-12. THP Outings are available for golfers of all skill levels and men and women alike. 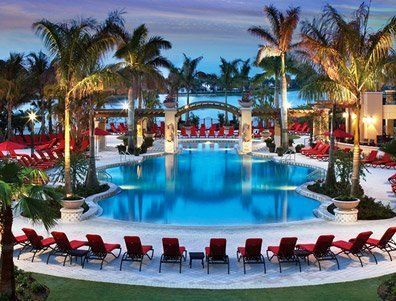 Palm Beach Gardens is home to fabulous beaches and shopping as well as this amazing resort that most will never want to leave. *The $50 Champion Course Upgrade fee has been waived. *i-Bar is once again offering all THP Members 2 for 1 drinks during their entire stay. You can keep up with the latest on this incredible golf journey, in the official 2011 Outing Thread in the THP Forum right here. I am SOOO looking forward to this!! We had such a great time at the last outing, there would be absolutely no way I would miss this one!! Thanks to THP and PGA National on what will no doubt be an epic time!! I would love to attend this time, but will there be any equipment for lefty’s to try? I know it wouldn’t be close to the amount of the righty stuff but would there be anything? having been in the position of helping out with planning this event, i must say that i am glad we’re heading back to PGA National. they truly understand what we want in an outing and they really wanted to partner with THP for this event. i hope PGA National becomes the official venue for THP outings! i am excited to see old friends and meet new ones, and i definitely want to play the Champions course again. Thanks again to PGA National Resort & Spa for playing host, i look forward to coming back. and thanks to JB & GG for all the hard work in putting this back together.